Valentine's Day can be both fun and daunting. Am I right? This being said, Valentine's Day feels a lot different when children are involved because you get to watch and experience their excitement. Bright colors. Candy. Balloons. Flowers. Stuffed animals. Exchanging Valentine's cards. Surprise gifts perhaps. Ooh-la-la! I discovered this first hand when I decided to make a Valentine's Day countdown (advent) for some children previously in my life and decorate their place. Today I'm sharing an easy idea on how to create a Valentine's Day countdown. You have almost two weeks exactly to get this prepared for your little ones and believe me when I say you may have more fun than the kids by making the countdown and in surprising them with it! Then I went to Michael's to purchase white gift bags, red ribbon and heart ribbon, and other small Valentine's related gifts like stationary, activity kits, pens, pencils, lotions, etc. 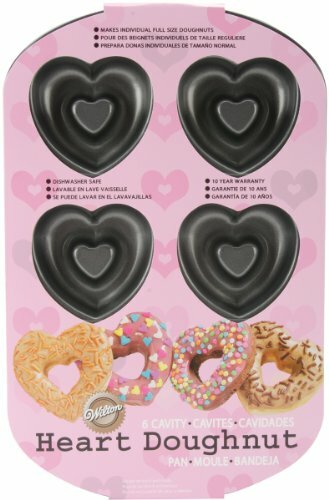 You might can find Wilton's doughnut pans there or the Wilton's silicon pans like the heart one I used. I purchased these on Amazon in advance. I picked up some Valentine's decor from Walmart as well as larger gift bags and small clothes pins, and then stopped in to some of their favorite stores for other small gifts for the countdown bags. No, this was not all in one day, but it could have been and had I been better prepared the first time I made this I might could have reduced the number of places I went to. It was sort of an idea in process as it unfolded. Note that you can easily use this for your significant other as well, you'd just add in different gift items! 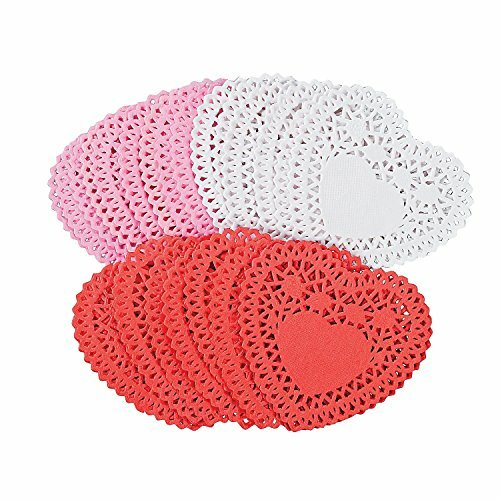 Using white and red (or pink) paper, cut out 14 hearts that are smaller than the doily's size. Alternate the numbers between two colors so that all odds are on one color and all evens are on another color. I decided to keep it easy and just write out the numbers 1 through 14 using a large permanent marker but if you're feeling inclined you can purchase number stickers or attempt to print the numbers onto the paper prior to cutting out the hearts. I suggest (temporarily) pinning the numbers onto the bags and lining them up so that you'll see the size of the bags correlating with the size of the treats/gifts you put inside of them. This is how I learned I needed some bigger bags and then worked backwards to determine which dates I wanted them to receive certain items. Things like stickers, pens, pencils, and jewelry will get the most use if given at the beginning of the countdown. 1) Valentine's Popcorn - easy to make and I think I ate half of it (in a former life when I allowed myself occasional sugar). Beware, it's addictive! 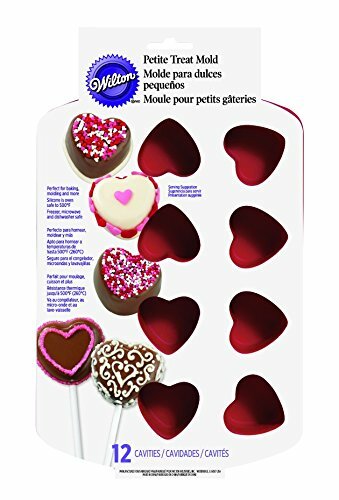 2) Valentine's Day White Chocolate Bark Bites - note: do not use the same silicon mold as the one for the bath bombs! I learned this the hard way. Even though the bath bombs (below) weren't harmful and I washed the silicon mold with soup and hot water, there was a lingering scent in the chocolate of rosewater. 4) Strawberry Chocolate Chip cookies - definitely not healthy, but definitely tasty! 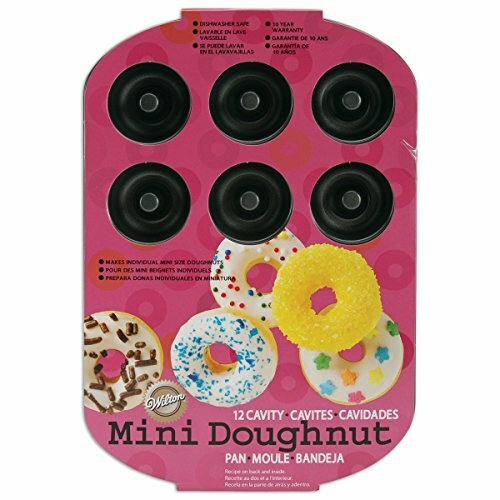 7) Bath bombs (either purchased or homemade) - note: do not use the same silicon mold as the one for the bath bombs! I learned this the hard way. Even though the bath bombs weren't harmful and I washed the silicon mold with soup and hot water, there was a lingering scent in the white chocolate bark (above) of rosewater. 8) Bubble bath, shower gels, lotions, or hand sanitizers in Valentine's colors or themes. Bath and Body Works always has great holiday selections. 9) Bible based Valentine Printables, Crafts, and Activities, Valentine's Bingo, or word searches. 10) Small, inexpensive Valentine's (or heart) jewelry like bracelets, earrings, watches, or necklaces. 12) Valentine's ties, shirts, socks, or PJ's! 15) Valentine Rice Krispie Treat pops like these or popcorn pops like these. There're a lot of ideas to be found online as well as at the stores that do not have to break the bank but that will allow you to give fun, little surprises for the 14 days leading up to Valentine's Day. The gifts don't have to involve candy either! Once you have acquired and assembled your gift bags' contents and placed each day's items in their respective bags with red (or other) tissue paper, you can tie up the bags' handles using the red or Valentine's printed ribbon. If you have more than one child, you can place both or all of the children's items in the same bag. 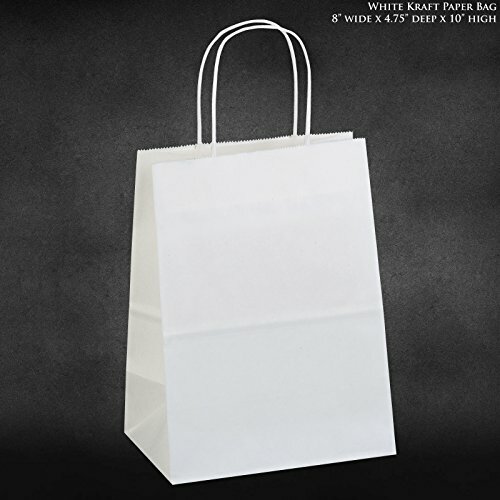 If their gift items are not the same on any specific day just make sure to individually wrap their items in tissue paper with a label so that they know who it belongs to when it is pulled out of the bag(s). 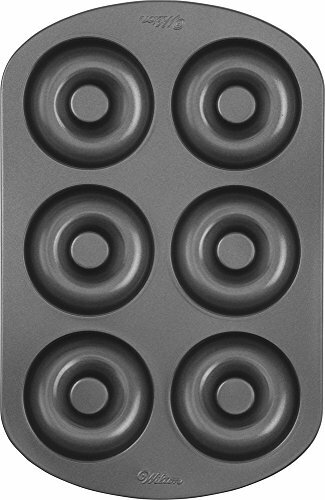 There's simply too many fun things you can prepare for breakfast on Valentine's morning like heart shaped pancakes or waffles, etc. Since I didn't live with these children I made heart shaped baked donuts the night before. Most recipes use boxed cake mix, but you can find some healthier versions if you're feeding your family gluten free or Paleo. I remember the extent of the rabbit trail I went on trying to decide how I'd make these so I'll spare you. I think I've blocked most of it out by now. They're easy to make...there are just too many options! I made heart shaped regular sized doughnuts and mini doughnuts. You can find these and other fun Valentine's ideas on my Valentine's Pinterest board. I'd love to hear of anything fun you've done for your little ones for Valentine's Day too so please feel free to comment below! If you enjoyed this idea then please share with someone to spread the love. You can also subscribe to the blog at the very bottom of the page so that you don't miss out on any future posts.